Many folks ignore the pre-market data. Actually it really helps the intraday traders. 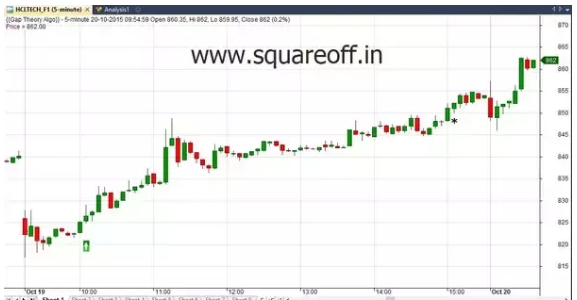 We know that many intraday traders mainly trades on stocks for intraday segment. And in order to make higher returns, they need to figure out what are the list of stocks that can make higher movements in a day, so that they can get in and get out quickly to make some quick profits. But its hard to find or short list stocks for Intraday, many folks scan for news, watch news channel to see if ant stocks show some sign of big movements. But if you can follow this simple rule that am going to cover, its really going to benefit all the intraday traders. The pre-open values of stocks price gets finalized by 09:08 AM. 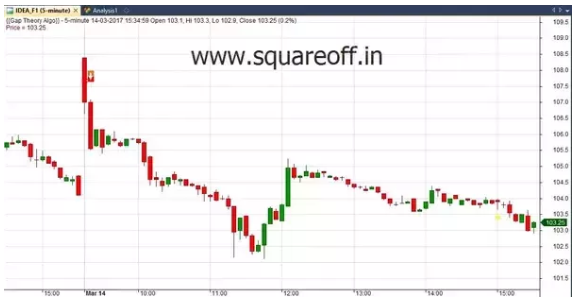 And market opens for trading at 09:15 AM, so we 7 minutes of time, to choose the list of stocks to trade on intraday. Go to this link at 09:10 AM. It displays list of gainers/losers based on pre-open data. Pick the top 3 or bottom 3 stocks from this list. In today’s example, it has TATA MOTORS has top loser by 09:10 AM as per pre -open values. 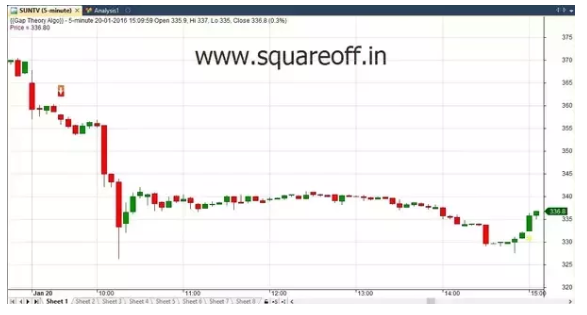 And this is what happened to TATA Motors after market opened. It has gone down from 200 to 170 levels. Here’s the trading strategy that you can follow. 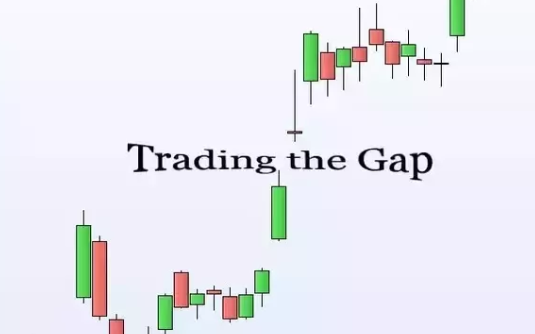 Gap Theory is one of the most simple trading strategy used across world markets by day traders. A gap trading strategy can be implemented when there is a change in price levels between the previous day close and current day open price. Gap Trading works well in stocks and makes much higher profits if followed with discipline & proper Entry,Exit & money management rules. Its a robust trading strategy since only price is considered here and no indicators are used. There are two types of Gaps that can occur. Due to some overnight positive news, there will be huge interest created for a particular stock, due to which demand for the stock would increase exponentially when the market opens next day. Open price will be higher that previous day close price. Gap up, followed by further up movement. Gap up, followed by weakness which leads to down movement. Gap Down, followed by strength which leads to up movement. Gap Down, followed by further down movement. Gap up or Gap down more than 1%. Should break the high range of first 5 or 10 or 15 mins. Enter into it once the high range is broken. LT opened Gap up and started moving up. We enter the stock when high price of first candle is crossed. You can keep First bar low price as stop loss or follow any fixed stop loss criteria. Should break the low range of first 5 or 10 or 15 mins candle. Enter into it once the low range is broken. Idea stock opened Gap up but it started declining. We enter the stock when low price of first candle is crossed. You can keep First bar high price as stop loss or follow any fixed stop loss criteria. Exit when risk reward is in your favor. HCL opened Gap down, but there was no weakness, instead it showed some strength and moved up stronger. We enter the stock when high price of first candle is crossed. You can keep First bar low price as stop loss or follow any fixed stop loss criteria. Stock ended with great profits by the end of the day. Another example is Sun tv. Sun TV opened Gap down, due to further weakness, it went down further. We enter the stock when low price of first candle is crossed. 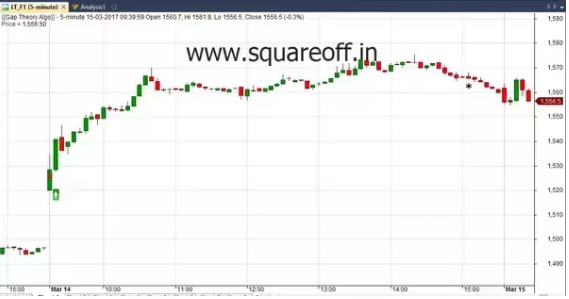 You can keep First bar high price as stop loss or follow any fixed stop loss criteria. Stock ended with great profits by the end of the day. You can create few watch list of stocks,apply these rules on the stocks & trade accordingly, if you want, you can improve the results by implementing any additional filters that you want to use. 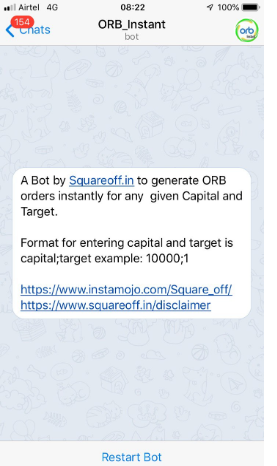 We run a free Telegram bot that keep sending the Gainers/Losers list every day at 9 AM. So that you don’t need to put any manual effort in scanning the stocks.